SEQUENCE BREAK - TRAILER from Jinga Films on Vimeo. Graham Skipper's award winning body horror "SEQUENCE BREAK," will receive its UK DVD release on June 11 courtesy of Matchbox Films. 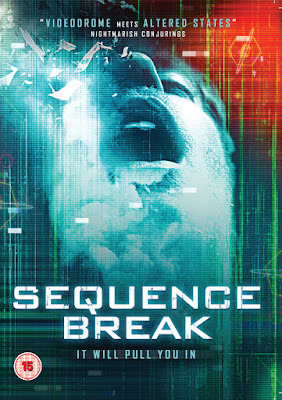 "SEQUENCE BREAK" stars Chase Williamson (Beyond The Gates) as a reclusive gamer who develops an unhealthy obsession with a video arcade machine resulting in a bizarre bio-mechanical mutation. Actor turned writer/director Graham Skipper (Almost Human, Beyond The Gates, The Devil's Dolls) was inspired by David Cronenburg's Videodrome and a nostalgic love for video arcade games when he conceived the idea for "SEQUENCE BREAK." "SEQUENCE BREAK" took the festival circuit by storm with screenings at FrightFest (UK), Fantasia (Canada), Fantaspoa (Brasil), Morbido (Mexico), Monster Fest (Australia) and Chattanooga Fest (USA) where it won Best Film. 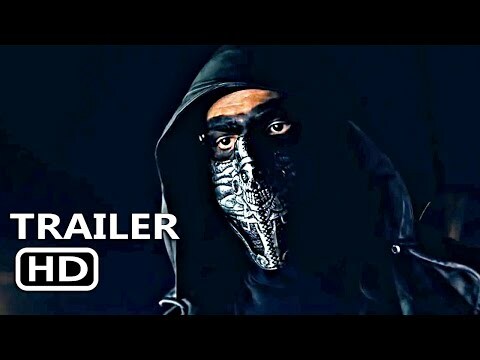 "SEQUENCE BREAK" was quickly snapped up by AMC Networks for digital distribution in the US, Canada, UK, Ireland, Germany, Austria, Australia and New Zealand through their curated genre channel SHUDDER where it was released on May 24. Stay tuned for news on Uncork'd Entertainment's US DVD release which is expected to be announced in October.